Become a Paramedic in 2019! “As a healthcare professional, a paramedic works in medical emergency situations. The nature of a paramedic’s role requires provision of advance levels of care in times of medical emergencies and traumatic situations. Most paramedics are field-based, in ambulances. They are also based in specialist mobile units (e.g. cycle response), as well as emergency response vehicles. Paramedics work with high-tech equipment in attending to emergency situations. An example of such pieces of equipment are the defibrillators, used in restoring the heart’s rhythm. Other pieces of equipment employed by a paramedic include spinal and traction splints. They also administer drugs, intravenous drips, as well as oxygen. 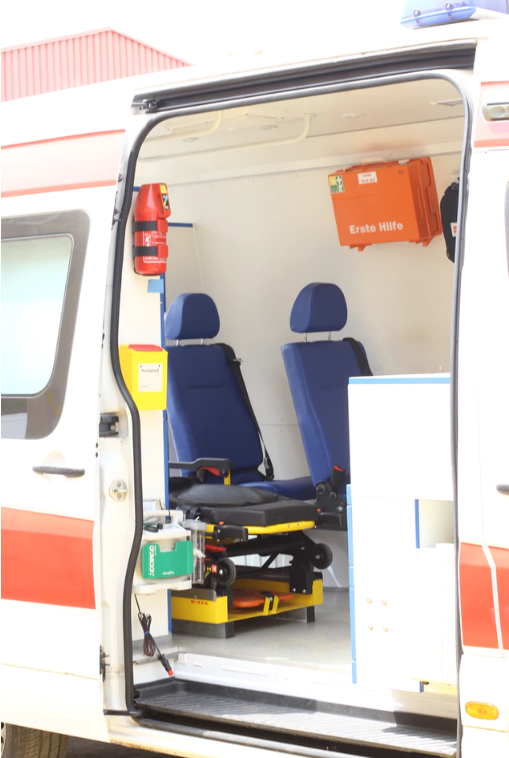 Usually, before any other professional healthcare team, paramedics are the first to arrive on accident scenes; they are usually prompt at other forms of medical emergencies. A paramedic would usually make up an ambulance crew (one of a two-person ambulance crew), plus an ambulance technician or emergency care assistant. At other times, paramedics may work independently and may use a motorbike, or even a bicycle to get to the scene of an emergency. While working on their own, paramedics can also use emergency response cars. If a paramedic undergoes additional training, such a person can work with an air ambulance crew. On arriving at the emergency scene, paramedics would assess the condition of the patient and quickly work out a decision geared towards saving the life of the patient. The decision would usually involve the appropriate treatment to be administered immediately, before taking the patient to the hospital. The ambulance technician or emergency care assistant will also help in administering the treatment. Some of the emergency cases attended to by the paramedics include automobile accident and sudden health conditions such as stroke. They can also be called upon in a building site, for example, to resuscitate someone who just fell off from the scaffolding. The paramedics are usually on standby at a local ambulance station. They are also found with large hospitals, working with other emergency crews. They can be called upon at any time regardless of the weather conditions, to attend to emergency cases. 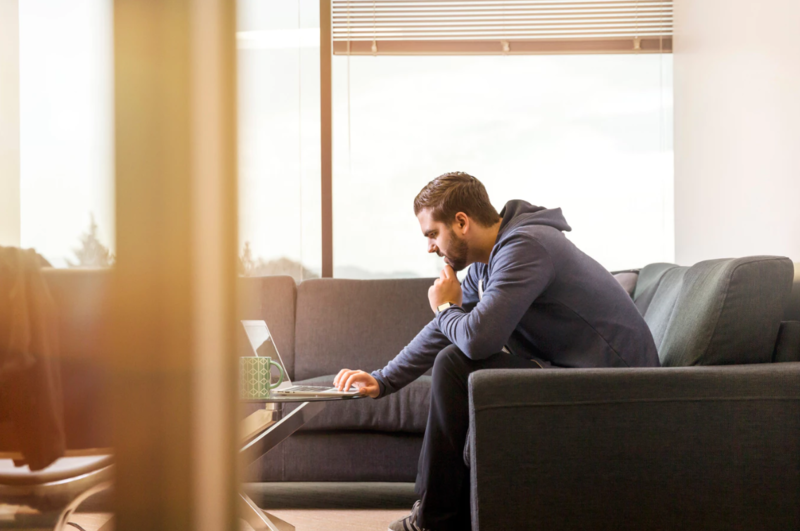 However, shift duties are also part of the working conditions. It is common to find paramedics closely working with nurses and doctors, explaining the patients’ situation as they transfer them to their care. In addition to dealing directly with the patients, paramedics also try to control emotional outbursts from patient’s relatives. They may also try to calm aggressive people in an emergency scenario. In essence, they make the work of the police less burdensome in accident scenes or other emergency scenes. Obviously, the paramedics are directly involved in saving life, giving hope to hopeless situations. 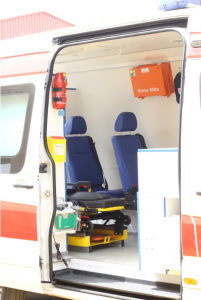 Anyone aspiring to become a paramedic must possess certain characteristics – e.g. the person should be non-judgemental, non-prejudiced, calm, honest and intelligent. Also, someone who wishes to be a paramedic must not show emotional outbursts – e.g. crying at the sight of a dismembered person at the scene of accident, or fighting back with aggressive individuals. If you’ve been scratching your head thinking, “how do you become a paramedic in the UK?” you’ve come to right place. 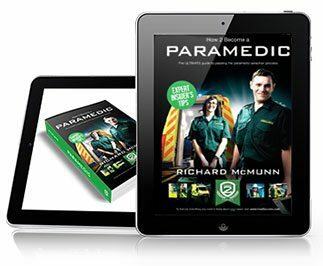 This site is a leading resource to help you become a paramedic, from application to interview. Why not take a look around and secure your role as a paramedic in 2019! 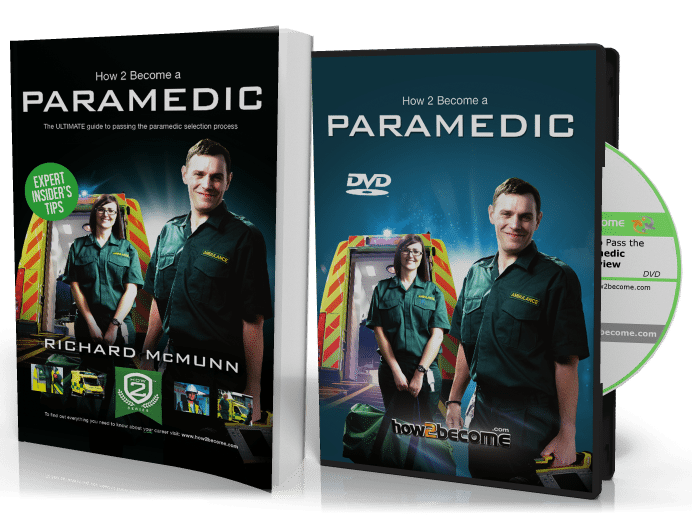 The new How to Become a Paramedic UK book and interview DVD comprises of 240 pages of insider recruitment information and 60 minutes expert video tuition on how to pass every stage of the selection process.